Bruce Ackerman is Sterling Professor of Law and Political Science at Yale, and the author of eighteen books that have had a broad influence in political philosophy, constitutional law, and public policy. His major works include Social Justice in the Liberal State and his multivolume constitutional history, We the People. His most recent books are We the People: The Civil Rights Revolution (2014), The Decline and Fall of the American Republic (2010), The Failure of the Founding Fathers (2005), and Before the Next Attack (2006). His book, The Stakeholder Society (with Anne Alstott), served as a basis for Tony Blair’s recent introduction of child investment accounts in the United Kingdom, and his book, Deliberation Day (with James Fishkin) served as a basis for “PBS Deliberation Day”, a national series of citizen deliberations produced by McNeill-Lehrer on national television for the 2004 elections. He also writes for the general public, contributing frequently to The New York Times, Washington Post and The Los Angeles Times, and has served, without charge, as a lawyer on matters of public importance. He was a lead witness for President Clinton before the House Judiciary Committee’s Impeachment Hearings, and a principal spokesman for Al Gore before the Florida legislature during the election crisis of 2000. Professor Ackerman is a member of the American Law Institute and the American Academy of Arts and Sciences. He is a Commander of the French Order of Merit, and the recipient of the American Philosophical Society’s Henry Phillips Prize for lifetime achievement in Jurisprudence. Bruce Ackerman ’67 is a Sterling Professor of Law and Political Science. 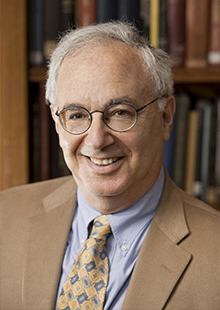 Bruce Ackerman ’67 is Sterling Professor of Law and Political Science at Yale Law School. France24 interviewed Sterling Professor of Law and Political Science Bruce Ackerman ’67 about President Trump’s declaration of a national emergency to fund the border wall. The interview was part of a larger feature on the issue. Sterling Professor of Law and Political Science Bruce Ackerman ’67 was interviewed by NBC News about President Trump’s threat to declare a national emergency. Sterling Professor of Law and Political Science Bruce Ackerman ’67 is interviewed by BNN Bloomberg about the federal government shutdown. 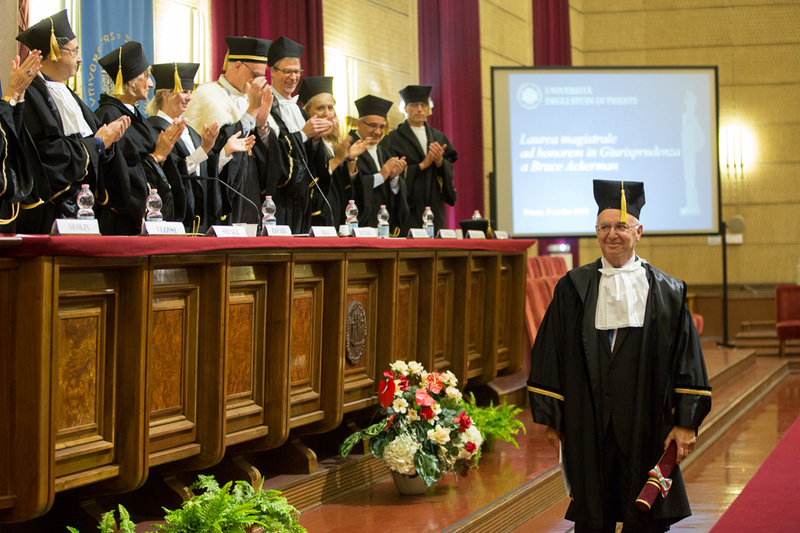 Sterling Professor of Law and Political Science Bruce Ackerman ’67 received an honorary doctorate in jurisprudence from the University of Trieste in Italy on October 8, 2018. Bruce Ackerman is Sterling Professor of Law and Political Science at Yale Law School and Sir Julian Le Grand is Professor of Social Policy at the Marshall Institute, LSE. A Bill to Curtail the Forever War, or Extend It? Sterling Professor of Law and Political Science Bruce Ackerman ’67 is quoted in an article about a bill designed to place limits on the Trump administration's ongoing military operations. Sterling Professor of Law and Political Science Bruce Ackerman ’67 is cited in an editorial about going to war without Congressional approval. Bruce Ackerman '67 is Sterling Professor of Law and Political Science at Yale Law School. Sterling Professor of Law and Political Science Bruce Ackerman '67 is quoted in an article about a case before the Supreme Court. Ro Khanna represents Silicon Valley in the U.S. Congress and is vice chair of the Progressive Caucus, and Bruce Ackerman '67 is Sterling Professor of Law and Political Science at Yale Law School. Sterling Professor of Law and Political Science Bruce Ackerman ’67 was interviewed about the War Powers Act. Podcast: Is the fight against ISIS legal? Sterling Professor of Law and Political Science Bruce Ackerman ’67 is a guest on a podcast of the National Constitution Center about whether the war against ISIS is legal. Professor Bruce Ackerman ’67, along with Attorney David Remes, presented the oral argument in Smith v. Trump before the U.S. Court of Appeals for the District of Columbia. Sterling Professor of Law and Political Science Bruce Ackerman ’67 is quoted in a story reporting that Roy Moore, currently running for senator of Alabama, has supported states' rights to void federal law. Sterling Professors of Law Akhil Amar ’84 and Bruce Ackerman ’67 are quoted in an article about whether President Trump committed an impeachable offense by espousing un-American beliefs. How long will John Kelly last as chief of staff? Sterling Professor of Law and Political Science Bruce Ackerman ’67 contributed to an opinion piece about the future of General Kelly’s presence in the Trump administration. Sterling Professor of Law and Political Science Bruce Ackerman ’67 is quoted in an article about President Trump and North Korea. Sterling Professor of Law and Political Science Bruce Ackerman ’67 is quoted in an article about the idea of a pre-election national public holiday dedicated to discussing politics and the upcoming vote. Sterling Professor of Law and Political Science Bruce Ackerman ’67 is quoted in an article about Podemos, a populist party in Spain. Bruce Ackerman is Sterling Professor of Law and Political Science at Yale Law School. Yale Law School professor E. Donald Elliott doesn’t share the same judicial philosophy as Supreme Court nominee Neil Gorsuch, but he believes that President Trump’s selection is “as good as it possibly gets” — as far as conservative judges go. Sterling Professor of Law and Political Science Bruce Ackerman ’67 was interviewed about the separation of powers outlined in the Constitution. Sterling Professor of Law and Political Science Bruce Ackerman ’67 is quoted in an article about President Trump’s attack on a sitting federal judge. Sterling Professor of Law and Political Science Bruce Ackerman ’67 is cited in an article. Sterling Professor of Law and Political Science Bruce Ackerman ’67 was interviewed about the Trump presidency. Sterling Professor of Law and Political Science Bruce Ackerman ’67 was interviewed on the future of voting rights. Sterling Professor of Law and Political Science Bruce Ackerman ’67 is quoted in an article about the growth of executive powers under President Obama. Should retired U.S. military leaders be sounding off on politics? Sterling Professor of Law and Political Science Bruce Ackerman ’67 is quoted in an article about whether or not retired members of the military should be commenting on politics. Bruce Ackerman ’67 is Sterling Professor of Law and Political Science at Yale. Sterling Professor of Law and Political Science Bruce Ackerman ’67 is quoted in an article about Army Caption Nathan Smith’s court challenge regarding the legality of the war on ISIS. Sterling Professor of Law Bruce Ackerman ’67 is quoted in an article about the government’s response to a suit filed by an Army captain challenging the constitutionality of the war on ISIS. Bruce Ackerman ’67 is Sterling Professor of Law and Anne Alstott ’87 is the Jacquin D. Bierman Professor in Taxation at Yale Law School. Sterling Professor of Law Bruce Ackerman ’67 was a guest where he discussed the case of Army Captain Nathan Michael Smith, who is suing President Obama over the constitutionality of the war on ISIS. Sterling Professor of Law Bruce Ackerman ’67 was interviewed about the case of Army Captain Nathan Michael Smith, who is suing President Obama over the constitutionality of the war on ISIS. An editorial about Army Captain Nathan Michael Smith’s lawsuit challenging the constitutionality of the war on ISIS. Sterling Professor of Law Bruce Ackerman ’67 is an advisor to Capt. Smith’s legal team. Sterling Professor of Law Bruce Ackerman ’67 is quoted in an article on Army Captain Nathan Michael Smith’s lawsuit challenging the constitutionality of the war on ISIS. Florence Rogatz Visiting Lecturer in Law Eugene Fidell is also quoted. Sterling Professor of Law Bruce Ackerman ’67 is quoted in an article about the case filed by Army Captain Nathan Smith claiming that President Obama’s war against ISIS is unconstitutional. Sterling Professor of Law and Political Science Bruce Ackerman ’67 has published an op-ed in the New York Times offering support for a newly filed lawsuit that argues President Barack Obama’s war against ISIS is illegal because Congress has not authorized it. Sterling Professor of Law Bruce Ackerman ’67 was a guest where he discussed Army Captain Michael Smith’s lawsuit challenging the constitutionality of the war on ISIS. Sterling Professor Bruce Ackerman ’67 and Sam Harris Professor of Corporate Law, Corporate Finance, and Securities Law Jonathan Macey ’82 signed a letter in support of Judge Merrick Garland. Sterling Professor Bruce Ackerman ’67 and Florence Rogatz Visiting Lecturer in Law Eugene Fidell are quoted in an article about whether Donald Trump could be impeached were he to be elected President. Sterling Professor of Law and Political Science Bruce Ackerman ’67 and Mark Tushnet ’71 are quoted in a commentary by Emily Bazelon ’00. Bruce Ackerman ’67 is Sterling Professor of Law and Political Science at Yale Law School and Maciej Kisilowski is a professor at Central European University. Bruce Ackerman ’67 is Sterling Professor of Law and Political Science at Yale Law School and Ian Ayres ’86 is the William K. Townsend Professor of Law at Yale Law School. Bruce Ackerman ’67 is Sterling Professor of Law and Political Science at Yale Law School and Tokujin Matsudaira is an associate professor of law at Kanagawa University. Bruce Ackerman ’67 is Sterling Professor of Law and Political Science at Yale Law School, and David Golove is a professor at the New York University School of Law. Sterling Professor of Law and Political Science Bruce Ackerman’ 67 and Florence Rogatz Visiting Lecturer in Law Eugene Fidell are quoted in an article about the legality of the war against the Islamic State group. Bruce Ackerman ’67 is Sterling Professor of Law and Political Science at Yale Law School and James S. Fishkin is Janet Peck Chair in International Communication at Stanford University. Sterling Professor of Law and Political Science Bruce Ackerman’ 67 is quoted in an excerpt from The Trouble With Lawyers by Deborah Rhode ’77. Sterling Professor of Law and Political Science Bruce Ackerman ’67 took part in a podcast where he discussed constitutional issues around foreign policy. Sterling Professor of Law and Political Science Bruce Ackerman ’67 will deliver a Daimler Lecture at the American Academy in Berlin on January 29, 2015, at 7:30 pm CET (1:30 pm EST). The newly released We the People: The Civil Rights Revolution continues Bruce Ackerman's examination of the U.S. Constitution with an eye toward the Civil Rights Act, the Voting Rights Act, the Second Reconstruction, and Brown v. Board of Education. The symposium will mark the 50th anniversary of the Civil Rights Act of 1964 and will coincide with the publication of Yale Law School Professor Bruce Ackerman’s We the People: The Civil Rights Revolution. Cass Sunstein, the Robert Walmsley University Professor at Harvard Law School, will speak at Yale Law School on Thursday, February 20, about the report on NSA surveillance delivered by the President’s Review Group. With a fervent debate raging over what actions should be taken against the Syrian government in the wake of a suspected chemical attack that killed more than 1,000 Syrians— including hundreds of children — Yale Law faculty offer their opinions and insights on a range of issues impacting the conversation. Below is a sampling of the most recent commentaries and interviews. Yale Law School faculty discuss filing legal briefs in Hollingsworth v. Perry case, which will go before the Supreme Court on March 26, 2013. In the third installment on April 20 of the “Debating Law & Religion” series, Professor Bruce Ackerman ’67 and Professor Stephen Carter ’79 debated what type of reasons can be legitimately referenced in public deliberation. Prof. Luís Roberto Barroso ’89 LL.M will give a talk on “Brazil’s Unbalanced Democracy: Presidential Hegemony, Legislative Fragility and the Rise of Judicial Power” on February 21. The fourteenth Global Constitutionalism Seminar took place at Yale Law School September 22-25, 2010. 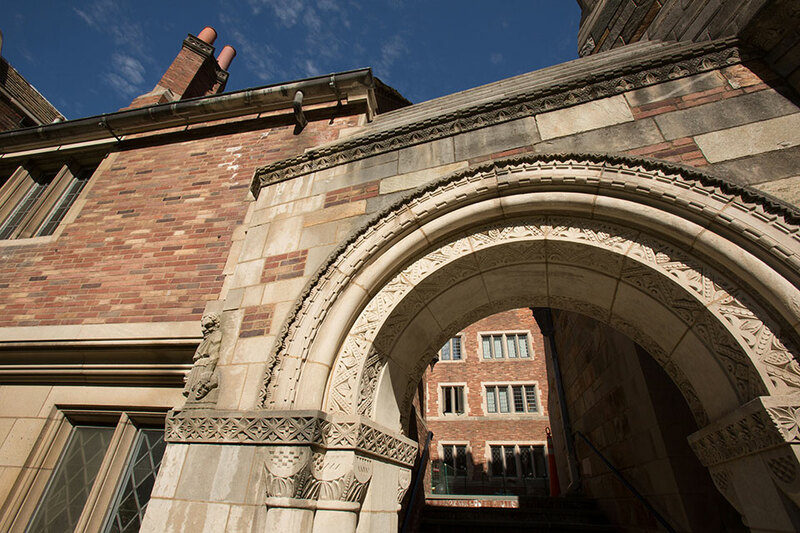 The Green Bag journal has selected works by a number of members of the Yale Law School community as "exemplars of good legal writing" for 2006. Sterling Professor Bruce Ackerman's forthcoming book, The Failure of the Founding Fathers, was the center of attention at the first Lillian Goldman Law Library New Book Symposium, on Friday, September 16. Harvard University Press: 1998. (Chinese: Law Press China, 2003). Yale University Press: 1992. German: Ein neuer Anfang fuer Europa, Siedler: 1993. Spanish: Ariel, 1995. Polish: Terminus, 1996. Harvard University Press: 1991. French: Au Nom du Peuple, Calmann-Levy, 1998. Yale University Press: 1980. Italian: Il Mulino, 1984; Spanish: Centro de Estudios Constitutionales, 1993. Editor, Bush v. Gore: The Question of Legitimacy, Yale University Press: 2002. Editor, Economic Foundations of Property Law, Little Brown: 1975 (2d ed. with Robert Ellickson and Carol Rose, 1995; 3rd ed. 2002). Is Britain ready for a constitutional convention? A rejoinder, The Political Quarterly (2018). Why Britain Needs a Written Constitution—and Can't Wait for Parliament to Write One, Political Quarterly (2018). Good-bye Montesquieu, in Susan Rose-Ackerman & Peter Lindseth eds., Comparative Administrative Law (2d ed. 2016)(revised version of essay)..
Britain at the Constitutional Crossroads (British Academy. December 2, 2016). Reorganizing NATO: Europe’s Last Chance to Preserve Fundamental Rights, The European Commission for Democracy (Venice Commission) (2016). What is to be Done? in Stephen Skowronek, Stephen Engel & Bruce Ackerman, eds. The Progressives' Century: Democratic Reform and Constitutional Government in the United States, Yale University Press: forthcoming. Reactionary Constitutional Moments: Further Thoughts on The Civil Rights Revolution, Jerusalem Review of Legal Studies (2016). Three Paths to Constitutionalism – and the Crisis of the European Union, 45 British Journal of Political Science 705 (2015) . Japanese translation: Horitsu Jiho (April 2015); French translation (June 2018) : Le Grande Continent. Preface, Deliberation Day (with James Fishkin), Japanese edition: 2015. De-Schooling Constitutional Law, Yale Law Journal, forthcoming (2014). Reviving Democratic Citizenship, 41 Politics and Society 309 (2013) at http://pas.sagepub.com/content/41/2/309.abstract. Reviving Democratic Citizenship, 41 Politics and Society 309 (2013). Interview with Bruce Ackerman in James R. Hackney, Legal Intellectuals in Conversation, pp. 189-204 (2012). Goodbye Montesquieu, in Susan Rose-Ackerman & Peter Lindseth eds., Comparative Administrative Law pp. 128-33 (2011). One Click Away: The Case for the Internet News Voucher, in Robert McChesney & Victor Pickard eds., Will the Last Reporter Please Turn Out the Lights: The Collapse of Journalism and What Can Be Done to Fix It 299-306 (2011). Limited War and the Constitution, (with Oona Hathaway), 109 Michigan Law Review 447 (2011). The United States Should Adopt an “Emergency Constitution” to Preserve Civil Liberties in an Age of Terrorism, in Richard Ellis & Michael Nelson eds., Debating Reform (2010). The Citizenship Agenda, in Jack Balkin & Reva Siegel eds., The Constitution in 2020 pp. 109-18 (Oxford University Press: 2009). My Debt to Mirjan Damaska, 118 Yale L.J. Pocket Part 171 (2009). Canonizing the Civil Rights Revolution: The People and the Poll Tax with Jennifer Nou), 103 Nw. U. L. Rev 63 (2009). Populismus heisst Angst vor dem Volk, in Die Alte und die Neue Welt (Scherer and Arnold eds., 2008). Préparer la gestion de l’urgence : pour une «Emergency Constitution», Archives de Philosophie du droit (2007). The Holmes Lectures: The Living Constitution, 120 Harvard Law Review 1727 (2007). Meritocracy v. Democracy (on the reform of the House of Lords), 29 London Review of Books 9 (March 8, 2007). The Secret Refund Booth (with Ian Ayres), 73 U. Chicago Law Review 1107 (2006). Interpreting the Women’s Movement, 94 California Law Review 1421 (2006). Keynote Address: Terrorism and the Constitutional Order, 75 Fordham L. Rev. 475 (2006). The Stealth Revolution Continued, London Review of Books p. 18 (February 9, 2006). The Art of Stealth, London Review of Books, vol. 27, no. 4, pp. 3-9 (Feb 17, 2005), (translated as La Bataille pour la Cour Supreme, Le Debat No. 143 (January-February 2007). Em Defesa de uma Heranca Social de Cidadania, in Joao Cardoso Rosas ed., Ideias e Politicas para o Nosso Tempo, pp. 25-40 (2004). This is Not a War, Yale Law Journal, vol. 113, pp. 1871-1909 (2004). Thomas Jefferson Counts Himself Into the Presidency (with David Fontana), (with David Fontana), University of Virginia Law Review, vol. 90, pp. 551-643 (2004). The Emergency Constitution, Yale Law Journal vol. 113, pp. 1029-1091 (2004). The Case for Stakeholding, Verso Nuove Forme di Welfare (Centro Nazionale di Prevenzione e Difesa Sociale, 2003). Why a New Paradigm?, U. Richmond L. Rev., vol. 37, pp. 1147-1184 (2003) (with Ian Ayres). And Now for the Bad News, in Janos Kornai & Susan Rose-Ackerman eds., Building a Trustworthy State in Post-Socialist Transition, pp. 21-22 (2004). Macro-freedom (with Anne Alstott) in Ackerman, Alstott &Van Parijs et. al Rethinking Distribution pp. 209-16 (2006). Why Stakeholding? (with Anne Alstott) , in Ackerman, Alstott &Van Parijs et. al, Rethinking Distribution pp. 43-65 (2006); .preprinted in Politics & Society vol. 32, pp. 41-60 (2004). Radical Liberalism, in Keith Dowding, Jurgen de Wispelaere & Stuart White eds., The Ethics of Stakeholding (London: Macmillan, 2005). The Case for Stakeholding, Diacritica (Universidade do Minho, Portugal), vol. 17, pp. 217-228 (2003). The New Paradigm Reconsidered, Calif. L. Rev. vol. 91, pp. 743-68 (2003) (with Ian Ayres). Off-Balance, in Bruce Ackerman ed., Bush v. Gore: The Question of Legitimacy (Yale Univ. Press: 2002). Revised Opinion for Brown v. Board of Education, in Jack Balkin ed., What Brown v. Board of Education Should Have Said, pp. 100-23 (NYU Press: 2001). $80,000 and a Dream: A Simple Plan for Generating Equal Opportunity, The American Prospect pp. 25-27 (July 17, 2000) (with Anne Alstott). The New Separation of Powers, Harvard Law Review vol.113, pp.633-729 (2000). (Italian: Carocci (2003); Chinese: Constitutionalism Review, vol. 3, pp. 600-704 (2003); Spanish (2004), Chinese (2006)). O Novo Constitucionalismo Mundial, in Margarida Maria Lacombe Camargo, 1988-1998, Uma Decada de Constituicao (1999). Constitutional Economics/Constitutional Politics,10 Constitutional Political Economy 415(1999). Your Stake in America (with Anne Alstott), 41 Arizona L. Rev. 249 (1999). Should Opera Be Subsidized? and Riposte: Lighten Up! Dissent 89 (Summer 1999). Revolution on a Human Scale, Yale Law Journal vol.108, pp.2279-2349 (1999). Taxation and the Constitution, Columbia Law Review vol.99, pp. 1-67 (1999). Temporal Horizons of Justice, Journal of Philosophy, vol. 94, pp. 299-317 (1997). The Rise of World Constitutionalism, University of Virginia Law Review, vol. 83, pp. 771-797 (1997) [reprinted as Dean’s Occasional Paper, Yale Law School (October, 1997)]; Chinese: Nanjing Univ. Law Rev. 10-27 (2001). A Generation of Betrayal? Fordham Law Review, vol. 45, pp. 1519-36 (1997). An Open Letter to Congressman Gingrich, (endorsed by 16 other law professors), Yale Law Journal, vol. 104, pp. 1539-44 (1995). Our Unconventional Founding, (with Katyal) University of Chicago L. Rev. vol. 62, pp. 475 ff. (1995). Is NAFTA Constitutional? (with Golove) Harvard Law Review, vol. 108, pp. 799-929 (1995). Political Liberalisms, Journal of Philosophy, vol. 91, pp. 364-86 (1994) ; reprinted in Shaun Young ed., Political Liberalism: Variations on a Theme (2004). Higher Lawmaking, in Responding to Imperfection: The Theory and Practice of Constitutional Amendment (ed. Sanford Levinson), pp. 63-87 (Princeton University Press, 1995). Rooted Cosmopolitanism, Ethics, vol. 104, pp. 516-35 (1994). Liberating Abstraction, U. of Chicago Law Review, vol. 59, pp. 317-348 (1992); reprinted in Stone, Epstein, & Sunstein, The Bill of Rights in the Modern State pp. 317-348 (U. Chi. Press, 1992). The Lost Opportunity, in Tel Aviv University Studies in Law, vol 10, pp. 53-68 (1991). Die Zukunft der Liberalen Revolution, Die Neue Gesellschaft/Frankfurter Hefte, vol. 39, no. 3. pp.221-231 (1992). The Common Law Constitution of John Marshall Harlan, New York Law School Law Review, vol 36, pp. 5-32 (1991). Robert Bork's Grand Inquisition, Yale Law Journal, vol. 92 pp. 1419-39 (1990); The Grand Inquisitor, The American Prospect, vol. 1, no. 2, pp. 106-114 (1990). Constitutional Politics/Constitutional Law, Yale Law Journal, vol. 89, pp. 453-546 (1989). Neutralities, in Liberalism and the Good (ed. by Douglass, Mara, & Richardson) pp. 29-43 (1990). A Reforming Environmental Law : The Democratic Case for Market Incentives, Columbia Journal of Environmental Law (with Richard Stewart) vol. 13, pp. 171-199 (1988). Why Dialogue?, Journal of Philosophy, vol. 86, pp. 5-22 (1989) (Italian: Teoria Politica (1989); German: Akten Des 12, Internationalen Wittgenstein Symposiums pp. 25-35 (1988)); Dutch: Von den Brink & Von Reijen, Het Recht Van De Moraal pp. 67-84 (1994); Spanish: Metapolitica vol. 2, no. 6, pp. 207-22 (1998)). Law, Economics, and the Problem of Legal Culture, Duke Law Journal, vol. 6, pp 929-947 (1986) (Italian: Rivista Critica di Diritto Privato); (German: Schäfer and Wehrt eds., Die Ökonomisierung der Sozialwissenschaften [Campus: 1988]). Foreword: Talking and Trading, Columbia Law Review, vol. 85, pp. 899-903 (1985). Toward a Theory of Statutory Evolution: The Federalization of Environmental Law (with Donald Elliott and John Millian), Journal of Law, Economics, Organization, Vol. 1, pp. 313-340 (1985). Foreword: Law in an Activist State, Yale Law Journal, vol. 92, pp. 1-45 (1983) (Dutch: Het recht in een activistische staat, Staatkundig jaarboek, 1983-1984, pp. 313-328, Leiden, December 1983). On Getting What We Don't Deserve, Social Philosophy and Policy, vol. 1, pp. 60-70 (1983). The Uncertain Search for Environmental Policy: Part I with James Sawyer), University of Pennsylvania Law Review, vol. 120, pp. 419-503 (1972); Part II (with Rose-Ackerman and Henderson), University of Pennsylvania Law Review, vol. 121, pp. 1225-1308 (1973). A Democratic Answer to the Tragedy in Barcelona? (with Antoni Abat I Ninet), El Pais, August 23, 2017 (English version, August 27, 2017). Les Précédents Présidents Étaient des Personnes Sérieuses. Donald Trump ne L’est Pas, Le Nouvel Ordre Mondial, July 11, 2017. In Supreme Court Redistricting Case, It's the 'Whole Number of Persons, Los Angeles Times, May 29, 2015. John Roberts' Trail-Blazing Campaign Reform (with Ian Ayres), The Atlantic, May 7, 2015. Hillary Clinton’s Bad Beginning, Huffington Post, April 13, 2015. Europa, hilf dir selbst! (Europe, Take Care of Yourself! ), Sueddeutsche Zeitung, February 21/22, 2015. Obama’s NSA Blind Spot, Los Angeles Times, January 26, 2014. At the Crossroads, London Review of Books, September 9, 2010. What Obama Should Say (with Oona Hathaway), Huffington Post, August 30, 2010. An Increasingly Politicized Military, Los Angeles Times, June 23, 2010. James Clapper: Another Military Man for a Civilian Post, Washington Post, June 9, 2010. Interview with Ezra Klein, Citizens United Was A Shot Across the Bow, Washington Post, May 12. 2010. Why the Lib Dems Do Well Out of TV Debates (with James Fishkin), The Guardian, April 29, 2010. How to Swing Congress (with Oona Hathaway), Los Angeles Times, April 3, 2010. How Biden Could Fix the Senate, American Prospect, March 15, 2010. How to Keep Future John Yoos Under Control, Washington Post, February 23, 2010. How to Counter Corporate Speech (with David Wu), Wall Street Journal, January 28, 2010. Despite Court Ruling, Congress Can Still Limit Campaign Finance (with Ian Ayres), Washington Post, January 26, 2010. What Will Congress Do About Afghanistan? (with Oona Hathaway), Slate, December 9, 2009. A General’s Public Pressure, Washington Post, October 2, 2009. America Needs to Prepare for Early Iraq Pullout (with Oona Hathaway), Financial Times, August 24, 2009. Section Five and the On-going Canonization of the Civil Rights Revolution, Balkinization, June 22, 2009. Abolish the White House Counsel, Slate, April 22, 2009. The Demonization of Harold Koh, The Daily Beast, April 8, 2009. Why We Need a Commission on Presidential Power, American Prospect, March 26, 2009. A Role for Congress to Reclaim, Washington Post, March 11, 2009. A National Endowment for Journalism? (with Ian Ayres), The Guardian, February 13, 2009. (French translation: Liberation, April 21, 2009). How Obama Can Fix an Illegal War (with Hathaway), San Francisco Chronicle, January 23, 2009. Impeach Jay Bybee, Slate, January 13, 2009. Making a Treaty: The Senate’s Role (with Hathaway)(letter to the editor), NY Times, January 8, 2009. The Iraq War Is Now Illegal (with Hathaway), The Daily Beast, December 31, 2008. A Legal Time Bomb in Iraq, The Guardian (UK), December 12, 2008. Restoring the Rule of Law to the White House, The Daily Beast, November 20, 2008. The Great Repudiator? (with Magliocca), American Prospect. November 5, 2008. Bush’s Final Illusion (with Hathaway), Slate, October 21, 2008. Abolish the Vice-Presidency, Los Angeles Times, October 2, 2008. What Bush Will Surrender in Iraq (with Hathaway), Time Magazine, September 11, 2008. The Coming Transatlantic Crisis, Guardian (U.K.), September 2, 2008. What Georgia Means for Europe, Guardian (U.K.), August 12, 2008. In Iraq, Timetables or Horizons or…?, New York Times (letter to the editor) July 23, 2008. Keep Your Paws Off the Presidency, Slate, July 15, 2008. Fixing the System Obama Broke (with Ian Ayres), American Prospect (July 3, 2008). A Better Way with Referendums (with James K. Fishkin), Financial Times (June 17, 2008). Hey, What About the 24th? The Constitutional Amendment that the Court Forgot (with Jennifer Nou), Slate (May 2, 2008). The War’s Expiration Date, Washington Post (with Oona Hathaway) (April 5, 2008). McCain Was Born in the Panama Canal Zone. So?, New York Times (letter to the editor) March 1, 2008. An Agreement without Agreement, Washington Post (with Oona Hathaway) (February 15, 2008). Where Money Is No Object, Guardian (U.K.) (with Ian Ayres) (January 26, 2008). Checks, Please, Guardian (U.K.) (January 15, 2008). Bush Isn’t the Only Decider, Los Angeles Times (November 29, 2007). Inherit the Windfall, Guardian (U.K.) (with Anne Alstott) (October 11, 2007). An Inheritance for All, American Prospect Online (with Anne Alstott) (October 4, 2007). The Risks of Playing Politics with the Military, Financial Times (September 5, 2007). What We Owe Suspected Terrorists, Guardian (U.K.) (July 23, 2007). Down with Plutocrats and Fat Cat Donors, Slate (June 25, 2007)(with Ian Ayres). The King is Dead. Long Live the King?, Guardian (U.K.) (June 15, 2007). Japan’s Revolution Is Far Too Quiet, Foreign Policy (June 1, 2007) (with Norikazu Kawagishi). Dealing with the Worst, Guardian (U.K.) (May 21, 2007). War Powers Debate with Jon Yoo: Remember Andrew Johnson, Los Angeles Times (April 6, 2007). War Powers Debate with John Yoo: We Don't Want a Warrior King, Los Angeles Times (April 5, 2007). War Powers Debate with John Yoo: Some of Us Have Been Consistent, Los Angeles Times (April 4, 2007). War Powers Debate with John Yoo: Say No to King George, Los Angeles Times (April 3, 2007). War Powers Debate with John Yoo: Congressional leadership is necessary and proper, Los Angeles Times (April 2, 2007). The Half-Trillion Dollar Solution (with David Wu), American Prospect Online (February 27, 2007). Britain Needs a New Agency to Fight Corruption, Financial Times (February 2, 2007). Set a Spending Limit on Iraq, Los Angeles Times (January 10, 2007). What if Terrorists Destroy Washington?, Los Angeles Times (December 16, 2006). We Answer to the Name of Liberals, American Prospect (November, 2006) (with Todd Gitlin), posted on website October 18, 2006 at . published in France by Liberation (October 19, 2006) at http://www.liberation.fr/opinions/rebonds/211551.FR.php); in Italy by La Repubblica (November 3, 2006); in Argentina by La Nacion (November 5, 2006); in Spain by El Pais (November 6, 2006); in Canada by the Toronto Star (November 10, 2006), in Germany by the Suddeutsche Zeitung (November 10, 2006). White House Warden, Los Angeles Times (September 28, 2006). Bad Party Line: All the Reasons to Hate Bush's Wiretapping Bill, Slate (September 18, 2006). Talk of "War" is Misleading and Dangerous, Philadelphia Inquirer (September 12, 2006). In Case of Emergency, American Prospect Online (August 18, 2006). Give N.Y.'s Poor What They Need Most: A Voice, New York Daily News, p. 31 (August 14, 2006) (with Ian Ayres). How Congress Can Make Guantanamo Even Worse, Slate (July 17, 2006). Before the Next Attack, New Statesman (July 3, 2006). Putting Reason Back into Emergency Powers, Boston Globe (July 2, 2006). Come Scegliere il Si o il No (How to Choose Between Yes and No), La Repubblica (with James Fishkin) (June 23, 2006). Export This? (with James Fishkin), Letter to the Editor, NY Times Magazine (May 7, 2006). Secret Political Donations Can End the Secret Deals, Financial Times April 26, 2006 (with Ian Ayres). Inheritance Taxes (with Anne Alstott), Letter to the Editor, NY Times (April 4, 2006). Terrorism and Civil Liberties, Yale Alumni Magazine, pp. 24-26 (March-April 2006). Interview with Gabor Halmai, Fundamentum (special English edition), 49-58 (2005). The Secrets They Keep, Slate (December 20, 2005). Senate, White House Hypocrisy on Torture, Philadelphia Inquirer (December 14, 2005). A National Day of Deliberation? (with Jiunn-Rong Yeh), China Times (November 22, 2005). Protect Court Against a Stealth Revolution, Philadelphia Inquirer (October 16, 2005). Come Proteggere Le Nostre Liberta, La Repubblica, p. 39 (July 22, 2005). High Court, High Stakes, American Prospect, pp. 35-38 (August, 2005). Bush and the Stealth Justice, Los Angeles Times p. B 13 (July 7, 2005). A Threat to Impartiality in the American Senate, Financial Times, p. 19 (May 16, 2005). Kapitalismus fuer Alle, 7 brand eins pp. 40-44 (March 2005). The Filibuster Rule: Play by the Rules, Philadelphia Inquirer (March 16, 2005). Immune to Democracy (with John Ackerman), New York Times, p. A 21 (March 4, 2005). Voting with Dollars, (with comments by Cong. Barney Frank and Nick Littlefield) 57 Bulletin of the American Academy of Arts and Sciences pp. 18-21 (Summer 2004). Loyal to Rumsfeld – or the Constitution?, American Prospect, pp. 6 – 7 (November 2004). Reply to Professor Rotunda, American Prospect Online, October 15, 2004. From Debates to Deliberation (with James Fishkin), Center for American Progress web-site, October 14, 2004. Oath of Offense, American Prospect Online, October 6, 2004. The Rumsfeld Oath, American Prospect Online, September 29, 2004. Abu Ghraib Requires a Political Response, Philadelphia Inquirer (September 15, 2004). Like Father, Like Son, American Prospect Online, September 14, 2004. States of Emergency, American Prospect, p. 40 (September 2004). Just Imagine, A Day Off Devoted to Fulfilling a Democratic Duty (with James Fishkin), Philadelphia Inquirer (June 20, 2004). 2-for-1 Voting, New York Times, p. A 27 (May 5, 2004). The Thinking Voter (with James Fishkin), Prospect, pp. 15-16 (May 2004). A Precedent-Setting Appearance, Center for American Progress (web-site), April 8, 2004. A Holiday Fit for a President (with James Fishkin), Los Angeles Times, p. B 13, (February 16, 2004). How Jefferson Counted Himself In (with David Fontana), Atlantic Monthly, pp. 84-95 (March, 2004). Deliberation Day (with James Fishkin), American Prospect, January 2004. Righting the Ship of Democracy (with James Fishkin), Legal Affairs pp. 34-39 (January-February 2004). System Down (with Ian Ayres), American Prospect Online, December 12, 2003. Interview with Gabor Halmai, Fundamentum (in Hungarian), pp. 51-62 (issue 2/2003). The Vote Must Go On, New York Times, p. A-27, September 17, 2003. Patriot Dollars Put Money Where the Voters Are, Los Angeles Times, p. 15, July 17, 2003 (with Ian Ayres). Fear Itself, American Prospect, (web exclusive) June 3, 2003. Raw Deal, American Prospect, (web exclusive) May 14, 2003. Never Again, American Prospect, p. 24, May 2003. Judicial Extremism: A German Antidote, Los Angeles Times, p. 15, February 19, 2003. Is the Right to March a Security Issue?, Newsday, p. A 17, February 18, 2003. Two Fronts, American Prospect (web exclusive), January 27, 2003. Keep Politics Off the Bench, Los Angeles Times, p. M 5, January 5, 2003. Bush, Iraq, and the Rule of Law, Letters to the Editor, New York Times, p. A 18, November 23, 2002. Government by Half-Truth, The American Prospect (web exclusive), October 24, 2002. Facing the Threat From North Korea, Washington Post, Letters to the Editor, p. A22, October 19, 2002. Episode oder Epoche, Frankfurter Rundschau, Feuilleton, October 16, 2002. The Legality of Using Force, New York Times, p. A15, September 21, 2002. But What's the Legal Case for Preemption?, Washington Post, p. B2, August 18, 2002. Campaign Reform's Worst Enemy, New York Times, p. 13, July 6, 2002 (with Ian Ayres). Bush Must Avoid Shortcuts on Road to War, Los Angeles Times, p. 15, May 31, 2002. Don't Panic, London Review of Books, pp. 15-16, February 7, 2002. German version: Frankfurter Rundschau, February 15, 2002. War is Handy Politics for Bush, Los Angeles Times, p. M 5, February 3, 2002. Bush Can't Operate as a One-Man Act, Los Angeles Times, December 16, 2001. On the Home Front, A Winnable War, New York Times, p. A 21, November 6, 2001. Sunset Can Put a Halt to Twilight of Liberty, Los Angeles Times, p. B 11, September 20, 2001. Treaties Don't Belong to Presidents Alone, New York Times, p. A 23, August 29, 2001. Tony Blair's Big Idea, New York Times, Op-Ed, Sec. 4, p. 15, May 6, 2001 (with Anne Alstott). Bush's Alarming Race Against the Clock, Boston Globe, Op-Ed, April 29, 2001. Foil Bush's Maneuvers for Packing Court, Los Angeles Times, Op-Ed, p. B11, April 26, 2001. Anatomy of a Constitutional Coup, London Review of Books, pp. 3-7, February 8, 2001. Translation: Le Monde, p. 18, February 27, 2001. $80,000 and a Dream (with Anne Alstott), American Prospect, pp. 23-25, July 17, 2000. How $50 Can Beat Big Money Campaigns, Los Angeles Times, p. B7, October 18, 1999. An Unconstitutional Republican Exit Strategy, Los Angeles Times, p. B7, February 3, 1999. This Lame-Duck Impeachment Should Die, Op- Ed, Washington Post, p. A17, December 24, 1998. Contest Lame-duck House Vote, Op-Ed, USA Today, p.12A, December 23,1998. Lameduck Impeachment? Not So Fast, Op-Ed, New York Times, December 8, 1998. Without the People, Impeachment Fails, Op-Ed, Los Angeles Times, November 6, 1998. What Ken Starr Neglected to Tell Us, Op-Ed, New York Times, September 14, 1998. Euro Follows American Example, Letters to the Editor, New York Times, May 2, 1998, p. A-14. Historical Perspective [on Presidential Impeachment], Letters to the Editor, New York Times, February 2, 1998, p. A-22. Joint Letter on the Constitutionality of the World Trade Organization and the Uruguay Round, Hearings before the Senate Committee on Commerce, Science and Transportation, S. 2467, GATT Implementing Legislation, S. Hrg. 103-823, pp. 529-31 (1994). Gingrich v. The Constitution, New York Times, Op-Ed page, December 10, 1994. Let's Introduce a New Political Currency System to Restore the Sovereign Citizenry in Japan (with Norikazu Kawagishi), Asahi Shimbun (Tokyo), Op-Ed page, September 28, 1993. We the People--and Congress--Have Yet To Be Heard (with Harold Koh), Los Angeles Times, Op-Ed page, May 5, 1993. Reforming Campaign Reform, Wall Street Journal, Op-Ed page, April 26, 1993. 1787 and 1993, New York Times, Op-Ed page, April 3, 1993. Das Gauck Behoerde: Zwei Fragen, in Hassemer & Starzacher, Datenschutz und Stasi-Unterlagen: Verdraengen oder Bewaeltigen? (1993). Interview, Bruce Ackerman over sociale rechtvaardigheid, de rol van de rechter en `law and economics', by M.A.P. Bovens and W.J. Witteveen, Staatkundig Jaarboek, pp 255-278 (1987). Proceedings of Conference on Takings of Property and the Constitution, Miami Law Review, vol. 41, No. 1, pp. 49-222, passim (1986). In Memoriam: Henry J. Friendly, Harvard Law Review, Vol. 99, No. 8, June 1986. Agon (In Memoriam: Arthur Leff), Yale Law Journal, vol. 91, pp. 219-223 (1982). The Languages of Power: Reflections on the Changing Relationship Between the Law and the Social and Humane Sciences, Proceedings of 1982-1983, Columbia Committee on General Education (vol. 11). 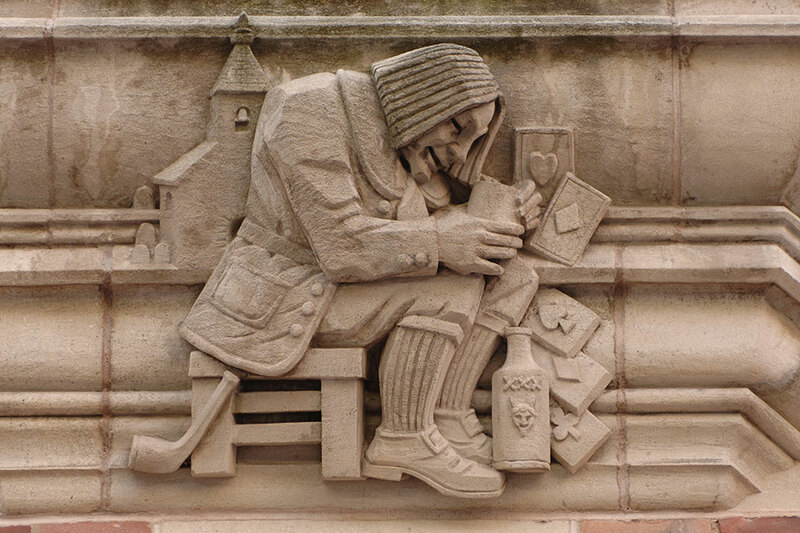 Commencement Remarks to the Yale Class of 1980, Yale Law Report, Spring/Summer 1982. Air-Pollution 'Rights' (with Donald Elliott), New York Times, Op-Ed page, September 11, 1982. Unconstitutional Convention, New Republic, March 3, 1979. Clean (Cough) Air, New York Times, Op-Ed page, August 30, 1977.